Anybody who has ever read any of our articles should know by now that sustainability is not seen by businesses as a burden, but rather an incredible opportunity for them to reinvent their model and improve their product. It’s an opportunity to innovate, create, and re-imagine. The fashion industry — known for its hunger for newness and propensity to waste — has come alive with innovation due to the growing circular fashion movement, with companies creating new materials and manufacturing processes that are more and more sustainable. And The North Face (with more than $2 billion in yearly revenues) is one of the companies trying to lead the charge. From extending the life span of products to innovating new sustainable materials and purchasing offsets for company travel, the company is committed to not only improving existing practices but also thinking outside the box. 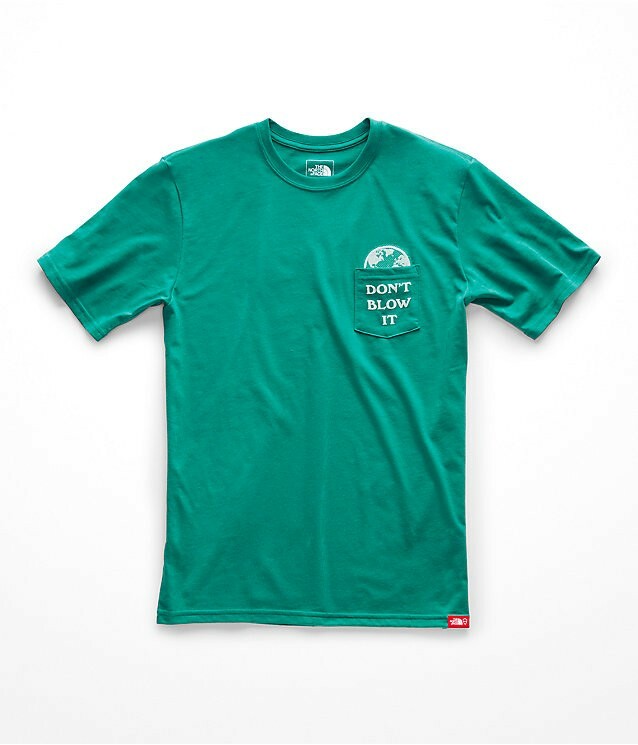 The brand’s new initiatives, such as the Bottle Source Collection and The North Face Renewed, are examples of a few of their creative solutions to environmental issues. However, most environmental impact comes from the manufacturing of new materials, which is an incredibly toxic process. At The North Face, 65–85% of their impact is during these manufacturing processes. While this is something that the company acknowledges and is actively working to address, inevitably there’s room for improvement. And as a large corporation, they have the power, resources, and responsibility to do more and do better. To find out more about what the company is working to achieve, we speak with James Rogers, the Director of Sustainability. 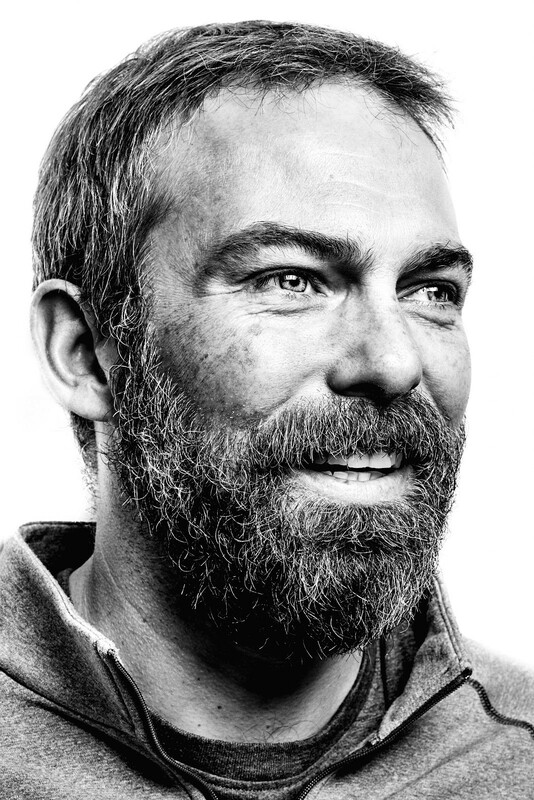 He’s spent the last seven years leading the environmental responsibility initiatives and has overseen the company’s new programs, products, and climate policies. He tells us about what they’re doing to make the world a better place, what they can do better, and why it’s important. Why is sustainability important to The North Face? The North Face was built on a love for the outdoors. It’s in our heritage to protect the places where we love to play. Without clean air, clean water, and public lands, our business would not thrive. We therefore feel it is imperative to operate as responsibly as possible because it’s the right thing to do for the planet and for our business. How can the challenges of being socially and environmentally ethical and sustainable also function as opportunities, either creatively or financially? Incorporating sustainable and ethical practices into our business has led to numerous successful material innovations. For example, our search to create products locally and reduce carbon emissions in our supply chain led us to develop the Cali Wool Beanie, which is made with wool from a ranch using climate beneficial practices. Similarly, our focus on recycled materials and supporting public lands led us to create the Bottle Source collection where each t-shirt and hoodie in the collection is made with recycled plastic bottles sourced from the waste streams of national parks, and for each product we make, we’re donating one dollar to the National Park Foundation to support recycling and reuse programs. We think sustainability is an opportunity to utilize new materials, drive product innovation and empower our consumers to make more responsible purchasing decisions. You created a limited edition collection of ‘Bottle Source’ t-shirts made out of plastic bottles collected from the waste streams of national parks in the USA. What other ways are you upcycling waste, textiles, and other materials? We’re committed to continuously improving the environmental performance of our products through materials and manufacturing innovations. We are working to increase the use of recycled fabric, especially recycled polyester, throughout our products. We try to concentrate our efforts on high volume products and materials. You can find recycled polyester in some of our core products like the Reaxion and Surgent line, and since 1996, our iconic Denali line has been made with recycled polyester fleece. We recently launched The North Face Renewed, a special collection of refurbished clothing aimed at extending the life of our products while also making them more affordable. This further reduces our impact on the environment by keeping clothing out of landfills and in the value chain. Whether previously worn, returned, damaged or defective, it’s inspected, washed and tuned up for your next adventure. It’s the great quality and performance you expect from The North Face with less impact on the planet. We provides an easy solution for customers to recycle their used apparel and footwear through our Clothes the Loop program — which encourages people to drop off unwanted clothing and footwear, from any brand and in any condition, at our retail and outlet stores. Those who recycle their apparel and footwear at our stores will earn a $10 reward toward their next purchase of $100 or more at The North Face. The items dropped in our collection bins are sent to our non-profit partner, Soles4Souls, who uses them for disaster relief or micro-enterprise programs that aim to provide small entrepreneurs with business opportunities. Our lifetime warranty is designed to extend the life of our items and minimize our impact on the environment. Our 50,000 square-foot warranty department in Alameda, California repairs up to 90,000 products a year. The employees in this department, some with over 30 years of experience, are dedicated to the craft of restoration. Our enormous stockpile of fabric and hardware dates all the way back to 1950, because you can’t patch a vintage Steep Tech jacket without the fabric that made it in the first place. 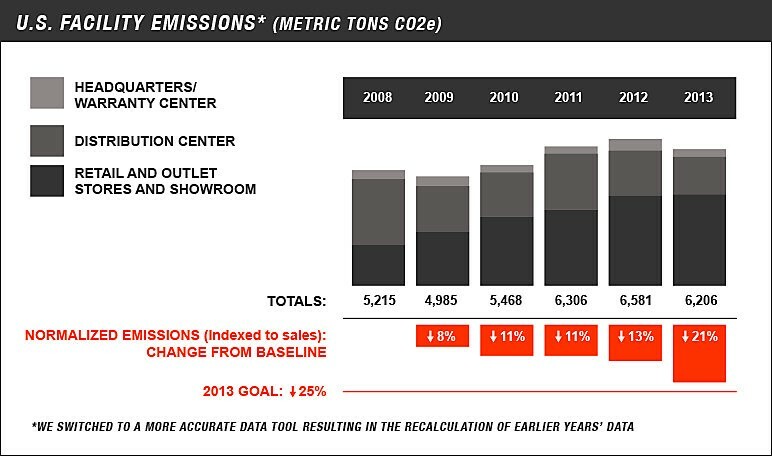 Does the company have a policy to minimize and reduce carbon emissions? If so, do you think it’s enough? We acknowledge that, like all companies which make products using fossil fuels, we contribute to the climate change problem. As such, we are committed to also being part of the solution by working to reduce our own impact and supporting wider climate action. – While reducing our direct energy footprint is our first priority, we have purchased offsets since 2007 for greenhouse gas emissions we haven’t yet eliminated, including athlete expeditions. The North Face has offset 100% of the emissions from our business travel and employee commuting through The Conservation Fund. – In 2009, we joined other forward-looking companies in the Ceres Business for Innovative Climate and Energy Policy (Bicep) coalition to advocate for progressive climate change policies. – We have invested in major renewable energy projects at our distribution center in Visalia and our headquarters in Alameda. At our headquarters, 100% of our electricity is generated through renewable energy on an annual basis. We have also incorporated efficient design and innovative building materials to reduce our carbon footprint, achieving LEED Platinum certification for our office since 2012. – We were one of the initial 33 signatories of the Climate Declaration in 2013 urging federal policymakers to tackle climate change. More than 1,000 companies across the country have signed the Declaration, demonstrating to policymakers that the U.S. business community is ready for comprehensive climate change policies. – In December 2015, we wrote an op-ed, “Washington Must Act on Climate Change,” calling for impactful action to address carbon emissions. We support the Paris Climate Agreement and are a signatory of the Business Backs Low-Carbon USA statement. – In 2018, our President, Arne Arens, submitted comments in response to the Clean Power Plan public hearing in San Francisco on February 28, 2018. – In early 2019, we will be setting Science-Based Targets that will reduce our greenhouse gas emissions in our owned and operated facilities as well as our supply chain emissions. While we’re proud of the progress we’ve made to reduce carbon emissions, there is always more to be done. We’re continuing to invest in programs and policies to support the transition to a low carbon economy. Most environmental impacts occur in the process of manufacturing. What specifically is The North Face doing to improve these processes? 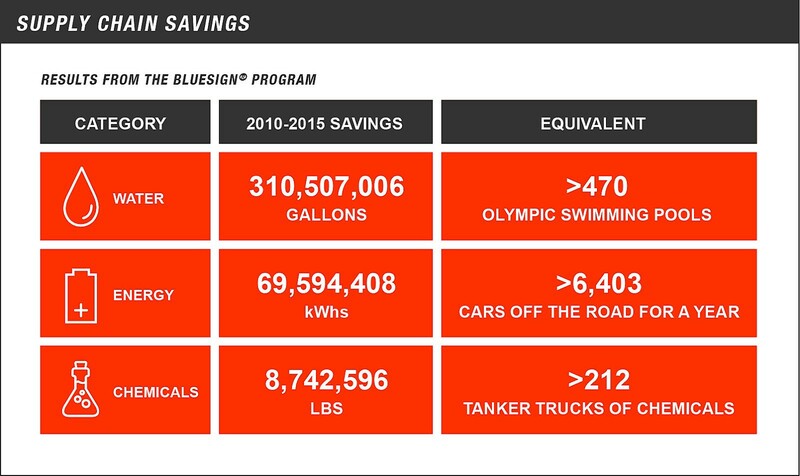 – In 2008, we partnered with the industry-leading experts at bluesign® technologies to help our mills reduce their impact by using water and energy more efficiently, addressing harmful chemicals and reducing waste. – Inspired by the local food movement, the Backyard Project was a challenge to design and manufacture clothing within 150 miles of our HQ in Alameda, California. – One of the best/easiest/fastest ways to reduce the impact within our supply chain is by moving to recycled materials which is why we concentrate on high volume fabrics and materials. Where do you see room for improvement within the fashion industry as a whole? And with new technology making circular fashion easier, with the possibility to do things such as grow leather in a laboratory or turn plastic into fabric, why is the industry perhaps reluctant to change? In just a few years, I think the fashion industry has made great strides in prioritizing creating sustainable solutions to environmental impact. Of course, I still think there is a long way to go and we will continue to see the industry take small but meaningful steps in the years to come. Where do you see room for improvement within the company’s sustainable practices? We’re always looking for ways to minimize our footprint and create the most sustainable, innovative products. In 2010, we conducted three different lifecycle assessments for shoes, backpacks, and jackets. From that, we learned that the majority of our impact comes from the materials and manufacturing stage of our products. If we continue to focus our efforts on the types of materials used and how they’re made, that’s the number one way we can reduce our impact. We are also focused on creating the most durable products on the market and extending the life as long as possible. How can companies like yours help encourage and collaborate with other large companies in the industry to become more environmentally responsible and to enact positive change? We have a long history of collaboration in the industry to drive ethical and sustainable practices. For example, we recognized the need for change in the feather and down industry and partnered with Textile Exchange and Control Union Certifications to create the Responsible Down Standard (RDS) in 2012. The RDS ensures that down does not come from animals that have been subjected to any unnecessary harm. After it was complete, we gifted ownership of the RDS to Textile Exchange, thus opening it up for use by any organization in any industry. The RDS officially launched in January 2014 and is now the most comprehensive, global, third-party certified animal welfare and traceability standard for down available for use by any company. To date, over 90 brands have adopted the standard across multiple industries. 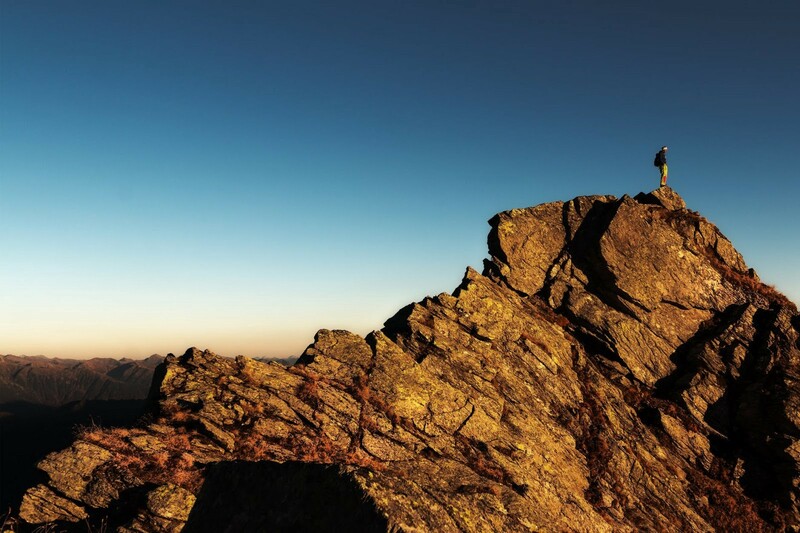 And in July, the Outdoor Industry Association recognized The North Face for the RDS with its “Together We Are A Force” award for RDS’s impact on sustainability and as an example of cross-industry collaboration. The ‘Renewed’ project has just been launched and is in its pilot phase. What’s next for the refurbished apparel program? The North Face Renewed pilot phase will last through September 2018 and our plan is to expand and improve Renewed. Through this pilot, we are looking at various options for the best ways to do that, including a takeback option for customers. In the future, there is also potential for the products to be sold in stores in a few key markets and with our wholesale partners. We are currently evaluating other circular business models that would help extend the life of our products. Do you have any other exciting upcoming projects that you can share with us? We’re constantly innovating, both for performance and sustainability. In sustainability innovations, we’re excited to launch the extension of our Bottle Source Collection in Fall 2018 to include sweatshirts and long-sleeve and short-sleeve shirts. In addition to increasing the use of recycled fabric throughout our products and materials, we’re also developing products with a lower carbon footprint. In that regard, our Cali Wool Beanie is made with Climate Beneficial Wool. We’re expanding that collection to include a scarf and a jacket in Fall 2018. Stay tuned, we’re sure to have more updates down the road.